Time 107.5 FM is the local station for East London and Essex. Broadcasting 24 hours a day playing your all time favourite music. With up to the minute Local news and traffic reports Monday to Friday from 6am till 7pm we are the essential station to keep you informed and entertained. Our Daytime shows offer listeners the chance to interact with topical debates, requests and competitions. Mondays from 12-1 we have the Legal Hour when we can answer any legal question for you through our specialist partners. 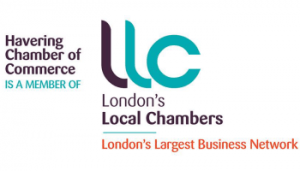 From October on Tuesday From 12noon we will host the Business hour with Havering Chamber of Commerce, discussing business topics each week and offering free advice to local businesses. Evenings and weekends are filled with specialist’s shows covering, Soul, Rock, Dance, Solid Gold and the 80’s. We even have shows to help local unsigned artists gain some exposure so there really is something for everyone. We reach over 50,000 local residents and businesses and have a loyal audience with listeners typically tuning in for 14 hours per week. We have advertising packages to suit most budgets and can offer a varity of options for businesses large or small. For more details please call 01708 766 375.